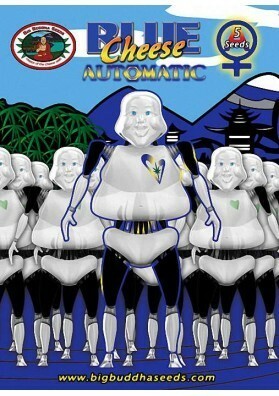 Big Buddha Cheese Automatic is the automatic version of the famous Big Buddha Cheese. It grows and flowers like an arrow with an characteristic taste and aroma of cheese. 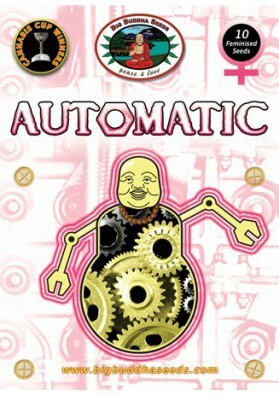 Big Buddha Cheese Automatic is the automatic version of the famous Big Buddha Cheese. This automatic strain is characterized by having a fast flowering period thus being perfect for impatient consumers and growers. It also has an amazing and characteristic taste and perfume of aged cheese. It was created by crossing Big Buddha Cheese with a third generation autoflowering plant being able to develop fully between 7 and 9 weeks and to offer great productions of high quality Marijuana. You will understand its high quality after smoking it since you will live an amazing experience, a great effect that will elevate you to the clouds remaining there for a long time. It has a strong taste like berries that gradually gives way to a deep cheese aftertaste.